Operating systems are the fundamental part of every computing device to run any type of software. The increasing use of computing devices in all areas of life (leisure, work), lead to a variety of operating systems. Yet all operating systems share common principles. These principles are important for computer science students in their understanding of programming languages and software built on top of operating systems. 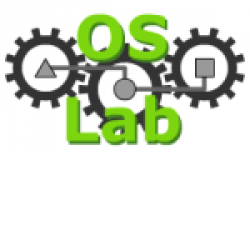 The Operating System Laboratory, OSLab is an online course that will teach students about principles of operating systems using a constructivist approach and problem-oriented learning. OSLab focuses on the hands-on training experience of the students and will complement existing lectures. The course is modular structured, where each module covers a topic and is in itself closed. Thereby a tutor can select modules according to his need and easily add new modules to the course. During this project we intend to create 7 learning modules covering the topics of process scheduling, inter-process communication, memory management, file systems, distributed file systems, security as well as device drivers and input/output.